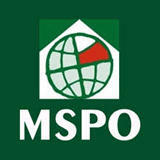 MSPO Expo focuses on Land, Air, and Sea Defense Technology Equipment & Weapon System, Missiles, Tank, Guided Weapons, Vehicles, Transport, and Vessels, Satellites, Telecom and Electronic Defense Equipment, Security Systems, Launchers, Fire Control Systems, and other related Technology and Systems etc. Great event. Had a set of Polish dog-tags to match my American tags. Lot of information available to me. Very good efficient show. I believe I found what I looked for. Profile for exhibit includes Land, Air and Sea Defense Technology Equipment & Weapon System; Missiles, Tank, Guided Weapons; Vehicles, Transport, and Vessels; Satellites, Telecom and Electronic Defense Equipment; Security Systems, Launchers; Fire Control Systems and other related Technology and Systems.